This simple non-fiction book for very young children is filled with facts about space and the universe. 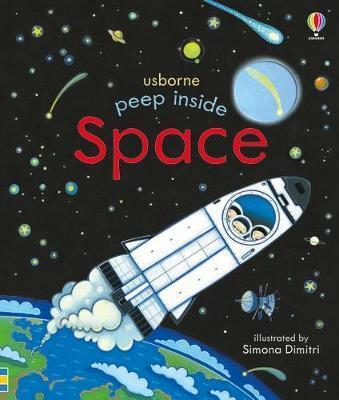 Little children can lift the flaps and peek through the holes in the pages to find out lots about space: this interactive introduction to the subject is accurate, playful and approachable. Space is a "hot" topic at the moment and is a fascinating subject that can lead little minds to be more interested about science as a whole.